"Is it just me, or are there a lot more tourists this summer?" That was the question I asked the ticket agent at the Anacortes ferry kiosk. "Oh, ever since Memorial Day, the numbers have been through the roof," said the ticket agent. "But I suppose that's good ... probably means the economy is doing better." "I'd rather have half the tourists and twice the number of year-round jobs," I said. "Yeah ... I guess that makes sense," said the agent. It makes sense to me anyway. No matter what island you live on, the tourist hordes seem to be overwhelming recently. In Friday Harbor, it's even harder to find parking spaces than previous summers, and the jets flying into the airport seem to be ... well ... just a bit much. The lines to leave Lopez for Anacortes on a Saturday are now as long as they used to be on Sunday afternoon. When asked about the lines, one Lopez ferry worker (a long-time resident) voiced her frustration, "There are just too many people. There are just TOO MANY! We need to decide if we want to be Friday Harbor because this is just too much! It's busy all the time. No let-up." In the midst of the onslaught, our little businesses can't find enough seasonal workers to handle the crush. In Friday Harbor, some restaurants are closed two days a week during the high season simply because they can't find enough workers. Same is true for Orcas, I hear. On Lopez, one restaurant has put out want-ads that amount to begging for seasonal help ... even willing to take people on for just a day or two during their visit to the islands. Welcome to the economy of "protection" ... the economy of the National Monument ... the Scenic Byway ... tourist board ... the "one of the places to see before you die" economy. This is the Friends economy. It's the one they always wanted, but it's still just a transitional stage ... because there's more to do. Below you will find the latest in our "Tales of Tyranny" series that we began some time ago. You will also find this post on our new site, which can be found at www.trojanheron.com. Please take the time to visit the new site, and you'll find that it also has a discussion forum associated with it ... in addition to blog commenting. The need for the Trojan Heron is as strong as ever. We will continue to improve our tools and methods to provide all of you with a voice to speak out ... and there is a lot to speak about. “Extend the sphere and you take in a greater variety of parties and interests; you make it less probable that a majority of the whole will have a common motive to invade the rights of other citizens.” James Madison, The Federalist, November 22, 1787. The “sphere” Madison writes about is a community of individuals. Lack of diversity of opinion in this island community has caused exactly what James Madison feared more than 200 years ago. Mob rule. This phenomenon exists here where a majority of people think it is acceptable to invade the rights of other citizens. The invaders are green but they aren’t aliens. We know them as the “Friends of the San Juans” and they will invade your rights because they fundamentally believe they have more rights to your property than you do. This green elite mob seems to enjoy the fact that they can control your undeveloped shoreline, and they have contempt for anyone who has a dream to build near it or alter it in any way. First the mob must be engaged. The truth won’t always do that, but exaggeration will. So willing accomplices in the media must blow the story out of proportion so that any suspected violation appears egregious. A villain is created to be the central focus of the mob’s wrath. Then the community will predictability react with horror and contribute to the cause. Over the years the “Friends of the San Juans” have learned to play this game for profit. This story is about their latest victims. Dave and Nancy Honeywell dreamed of moving to the Washington coast when they retired. After winning a lottery jackpot their dream came true, but they never considered that an invasion of their rights was about to occur. That’s how the Honeywells’ dream turned into a nightmare. 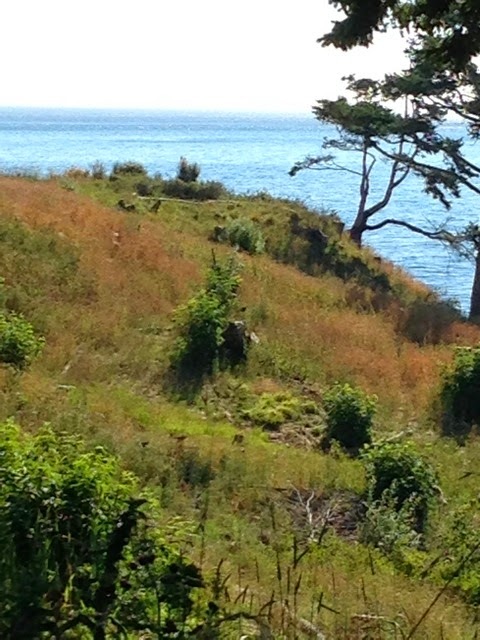 The Honeywells purchased Mar Vista Resort on the west side of San Juan Island. They renamed the property “Orca Dreams” because they love these mammals and the whales are frequently seen from the property. Instead of expanding the use as a resort (with all associated negative impacts) they planned to turn it into a full time residence for themselves and their family. 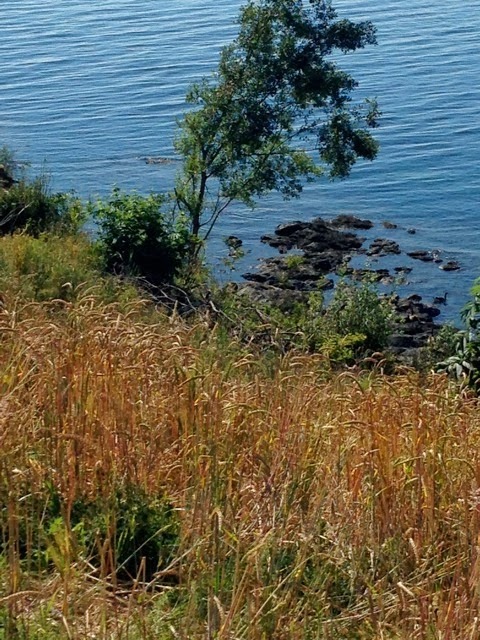 The previous owners had let the property deteriorate, and weeds and scrub trees had taken over some of the shoreline area where previously rare wildflowers grew in abundance. They wanted to improve the landscape and provide more sunlight for the endangered golden paintbrush plants, but they didn’t intentionally want the majority of the vegetation in a section of the property removed. In their absence, a misunderstanding between the owner and their contractor caused the removal of much of the vegetation in one area near the shoreline. In a statement made to the planning enforcement department Dave Honeywell said, “The amount of clearing on the hillside was far greater than we had directed or anticipated.” When the “Friends” (acting like self appointed “earth police”) discovered the mistake, all hell broke loose and the green invasion and smear campaign began. Led by an agenda-driven local press and an angry news blogger, the story began to unfold. The caretaker of the property witnessed several vehicles driving past the “no trespassing” signs onto the Honeywell’s property to take photographs of the area where brush and some trees had been cut down. He saw two women in a car that sped away but was unable to get the license plate number. He reported the incident to the Sheriff but was only able to identify one of the alleged trespassers. The trespassers, the press, and the “Friends” accused the Honeywells of “clear cutting” the property even though several large fir trees remain along the short segment of the shoreline. Some trees were cut down and some brush was removed, but the activity hardly fits the definition of the “clear-cut” that was reported. There was no intent to do anything illegal, but that didn’t stop the press or the “Friends” from threatening to teach them a lesson. Here we have an example of the “Friends” poisoning the public image of new residents who got caught up in a misunderstanding, paid a fine, and are committed to fixing the situation by replanting. It hasn’t stopped the vitriol. In fact the “Friends” mob have decided to ramp-up the campaign against them. How’s that for a warm Island welcome? Those stronger “provisions” referred to by the Friends were for criminal penalties including imprisonment. That’s not all. The Friends started a campaign by lobbying the Governor and a past Friends Executive Director (now in the State legislature) to use their power with state agencies like the Department of Ecology and Fish & Wildlife. Once again the charges seem to be exaggerated. The truth will eventually be known, but by that time the reputation of the Honeywell’s will have been trashed and the “Friends” mission of making an example of them will have been accomplished. Is this how we, as a community, want to treat people? Is it an example of our “Friendly Island Spirit” or an example of mob rule? Was the Friendly Island Spirit any part of the reason the Honeywell’s decided to move here? It certainly seems like they had a warm feeling about our community because they generously supported its institutions. They spread some of their good fortune among charities. They have given more than $4 million dollars to a community foundation. Locally they have completely funded the Food Bank’s fresh fruit and vegetable program, they pledged funds to make the Whale Museum accessible to the handicapped, they paid for the new 3-D map at the Historical Museum, gave $10K to Brickworks, and $10K to the Community Theatre. They built a 30-thousand KW solar array that provides power to people who could otherwise not afford it. The United Way Family Center and Island Rec have also received generous donations from the Honeywell’s. In many “mob free” communities these generous and unpretentious people would be welcomed warmly, but not here. Here the “Friends” and some in the local press want to make an example of them as villains guilty of crimes against mother earth in order to raise money (link). They ignore the fact that the endangered wildflowers and the vegetation near the shoreline have made a dramatic comeback. “Theodore Thomas, an ecologist with Interior’s Fish and Wildlife Service, who has monitored paintbrush at Mar Vista since 1995, concluded that no damage was done either to golden paintbrush plants in the area or to the paintbrush habitat” (Journal). In fact, according to experts, since the sunlight has been let in, there is a 30% increase in the golden paintbrush plants (Journal). Since when is increasing habitat for endangered species a crime against nature? We hope the Honeywells will accept the sincere apology of many fellow Islanders for the treatment they have received at the hands of the deceptively named “Friends.” The fact is our environment is healthy. Thanks to the “Friends” our community is not. If you thought that this was the end of the persecution of the Honeywells, you would be wrong. Once on the “Friends’” radar, you can be their victim over and over again. In our next installment you will learn how the “Friends” treat the Honeywells who have had the temerity to apply to re-build an old dock.